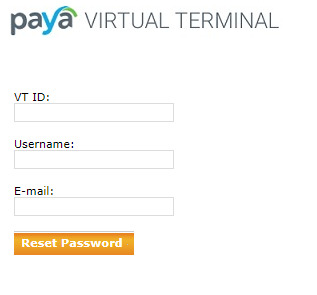 Support Home Paya Virtual Terminal How do I unlock the Virtual Terminal and reset my password? *The email address must match the address or addresses on file for that user. 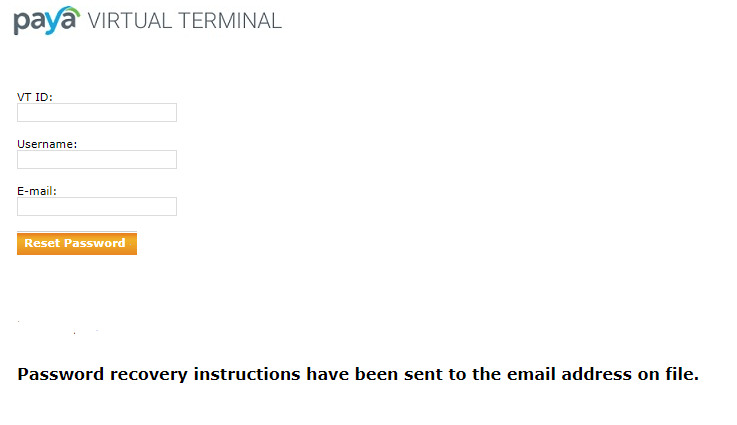 Using a different email address will return the following error: "We could not verify your information. Please contact your account administrator." 6. 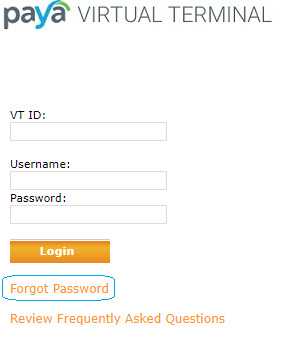 From the Virtual Terminal sign-in page, enter your VT ID (Virtual Terminal ID), username and temporary password that's on the email. If you are copying & pasting from the email, please be careful not to include any extra spaces on either side of the password. 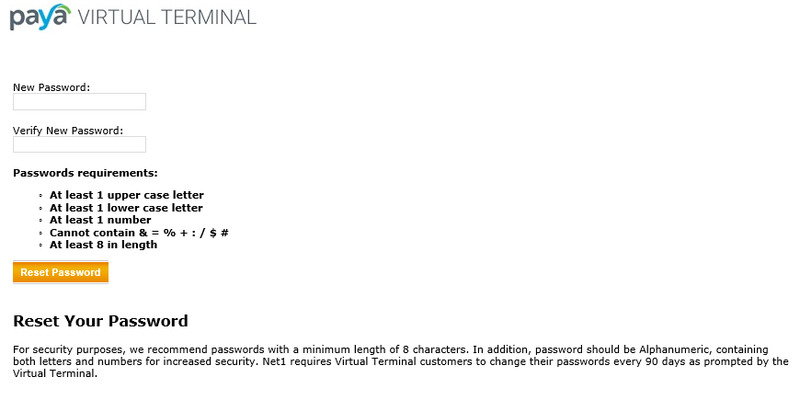 If the information was entered correctly, you will be signed into your Virtual Terminal.